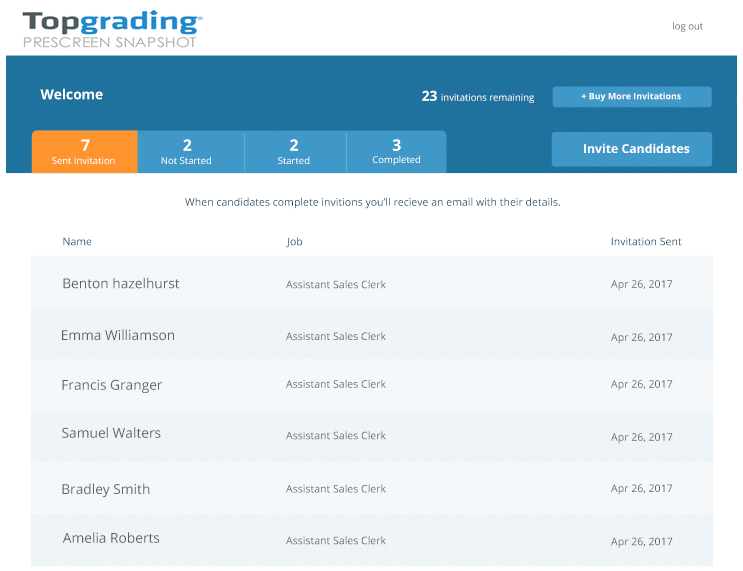 Invite candidates and monitor their progress. You'll get an email with the candidate's details when they complete their information. 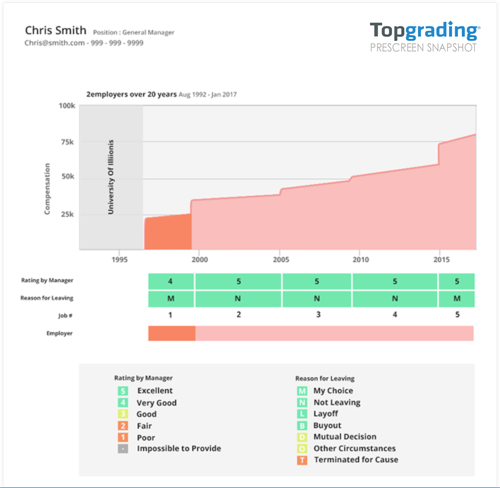 The Prescreen Snapshot includes the details from the candidates' last two jobs, including salary (optional), reasons for leaving, and performance ratings by manager. 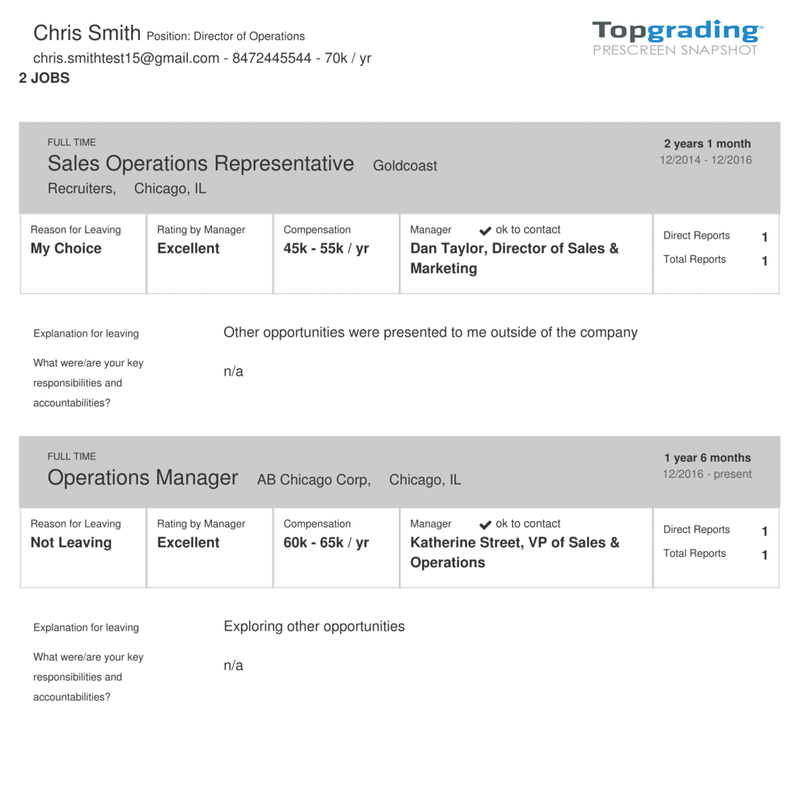 Get accurate and insightful information to screen in just the best candidates.